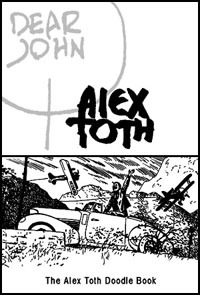 As posted by Jeff Parker in the Forums, the "Dear John: The Alex Toth Doodlebook" has been nominated for and Eisner award for Best Comics-Related Book. Post your support for the book and John Hitchcock, Billy Ingram, James Counts and publisher Jeff Parker in the forums. Good luck guys! This book is a gem and deserves the recognition (and the award too :D).